Years such as 2015, specifically its warm winter temperatures, will become more the rule in Washington state rather than the exception by about the 2050 decade. “Low mountain snowpack raises water-supply fears in Washington” was a Seattle Times headline on Jan. 6, 2015. Just one year later, another headline proclaimed, “Snow pack in good shape, likely well into spring.” Given this conflicting information, what can we say about changes in our state’s snow? 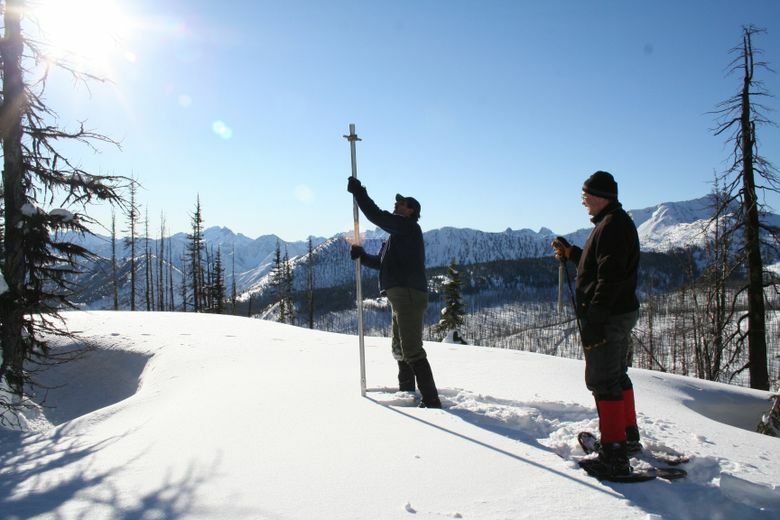 Snowpack is arguably the most crucial climate-related variable for the Pacific Northwest. It makes large contributions to spring and summer water supplies for agriculture and fish, and impacts hydropower production, forest and ecosystem health, and recreation. Our snowpack is a key feature of our mountains, and the state would be a much different place without it. With the end of the snowpack-building season on the horizon, our current snowpack is in good shape, with near-normal to above-normal snow totals throughout most of Washington state. The Bureau of Reclamation’s March 2018 forecast shows adequate water supply for the state’s key agricultural area in the Yakima Basin, and there isn’t current concern for drought development anywhere in the state. Nicholas Bond, state climatologist, is a senior research scientist with the Joint Institute for the Study of Atmosphere and Ocean of the University of Washington and also is an affiliate associate professor with the Department of Atmospheric Sciences at UW. Karin Bumbaco, assistant state climatologist, is a research scientist with the Joint Institute for the Study of Atmosphere and Ocean at the University of Washington, Office of the Washington State Climatologist at UW. As is often the case, the present snowpack varies substantially across the western U.S. While northern Idaho, Montana and Wyoming are also enjoying a good snow year, Oregon, southern Idaho and the southwestern U.S. are lacking snow, with concerns about summer water supplies. These regions have been hit by the one-two punch of a winter that’s been both drier and warmer than normal. In Washington state, we have certainly seen how warm winter temperatures can lead to drought. Three years ago was a recent, extreme example. Precipitation was relatively normal during the winter of 2014-15, but with a much higher proportion of rain instead of snow in the mountains. The result was a record-low snowpack, with some major impacts on water supplies the following summer. On the other hand, the state saw plenty of snow the following year, and the snowpack was mostly above normal again last winter. These sorts of fluctuations make it tough to assess local trends in snowpack. Some of this variability is due to El Niño/La Niña — key features of the tropical Pacific atmosphere-ocean system that influence weather patterns far from the equator. The current and expected state of the tropical Pacific is useful for seasonal weather predictions, and plays a role in the swings in the amount of snowpack that we see year-to-year. These seasonal predictions are inherently less accurate than weather forecasts for the next few days, with the potential for major surprises. Ultimately, Mother Nature holds the cards and has some tricks up her sleeve. It also depends a lot on where and when you look. Average winter temperatures in our mountains have warmed about 2 degrees Fahrenheit over the last 100 years, but total precipitation shows little consistent change. This means that locations well above the usual rain-snow line, such as Hart’s Pass (6,500-foot elevation) in the north Cascades, have negligible trends in April 1 snowpack from the mid-1980s through 2016. It’s a different story for other locations, such as Hurricane Ridge (4,500-foot elevation) in the Olympic Mountains, which has a statistically significant declining trend of about 3.5 inches of snow per decade in April 1 snowpack since 1950. The bottom line is that year-to-year variability will continue to be the dominant effect on our snowpack over at least the next decade or two. At some point, however, these variations will be overwhelmed by a warming of the Pacific Northwest. Years such as 2015, specifically its warm winter temperatures, will become more the rule rather than the exception by about the 2050s. Such a future promises more winter floods and more summer droughts as precipitation falls more as rain rather than snow. It will still get cold and dark in winter, of course, and the higher elevations will still get snow. The problem is that the area of our mountain watersheds reliably receiving snow — the places that hold fresh water until the summer dry season — will decrease as freezing levels ratchet upward. What can be done? A first step is to recognize that changes are happening, even though we cannot be certain how fast. 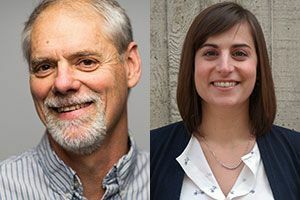 Developing resilience to present-day climate fluctuations — such as the conditions we saw in 2015 — through management practices that adjust for changes in supplies and demands will have substantial payoffs.